Harmless Like You is a dual POV literary fiction novel by Rowan Hisayo Buchanan. We’re introduced to Japanese-American Yuki in 1968 when she is 16 years old and has not one friend in New York City. Her parents have moved back to Tokyo and she decides to stay and live with her friend, aspiring model Odile. The book alternates to the year 2016, where gallery owner Jay – whose father has recently died – is accepting his role as a new father. He believes that he is a happily married man, but it’s the year that he will finally confront his mother Yuki, who abandoned their family when he was two years old. Rowan Hisayo Buchanan explores the blurred boundary between love and pain, selfishness and sacrifice. This novel highlights that the meaning of ‘home’ is complicated and that by starving for a sense of connection, our main character Yuki has actually detached herself from her roots. She’s strayed so far from what she envisioned herself being, that the sacrifices she made almost seem to have been made without real intention to do so. Yuki does not seem to be in control of herself, and she does not seem able to climb out of the painful hole that she finds herself in when she enters an abusive relationship. She is also a deeply lonely character who strives for artistic fulfilment. Harmless Like You explores the notion that children can inherit identity from their parents. Pain travels through the generations in this novel. Jay, having been abandoned by his mother when he was two years old, is finding fatherhood travelling and his marriage even more so. He loves his wife, but he is not attentive or present, much like his mother Yuki. This novel is unflinchingly honest and captures some of the ugliest aspects of life that a person can experience. 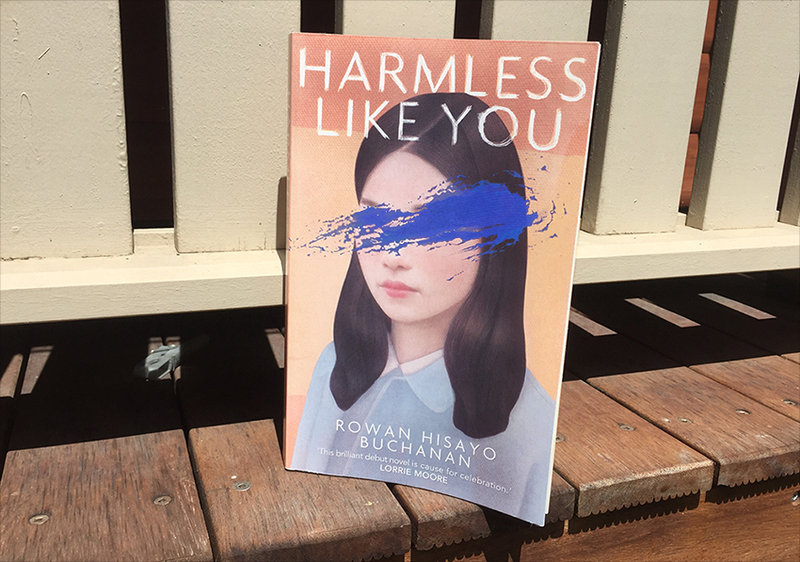 Harmless Like You highlights the messier side of life – both Yuki and Jay struggle with fidelity, and at one point, Jay wonders if he loves his child at all. He wonders what it would be like if he just dropped her. Both characters are looking for fulfilment in life, and this resulted in Yuki abandoning her child. It seems like Jay is thinking the same thing. By delving into Yuki’s past, we come to understand her as a character and the need she has for artistic fulfilment, and how that trumps her being a parent to Jay. The separate stories from her life allow the reader to see why she left her husband and son and why she never came back. Harmless Like You is an elegant and moving novel that explores the difficulty of life, love and family. It’s extremely well-written and beautifully eloquent and Rowan leaves more unsaid that said. The reader comes to understand the complicated relationships between parents and children, and how actions can cause unintended consequences.